Are you looking for a new SUV that is just as powerful in the city as it is in the wild? Then you need to check out the new 2019 Nissan Rogue Sport. The new street-savvy Nissan Rogue Sport is the crossover that will revolutionize your daily commute. This is in thanks to the redesigned interior that comes with stitched leather seats, available power moonroof and the BoseⓇ Premium Audio System. You can get an up close and personal look at the new Rogue Sport by visiting our Performance Nissan dealership located near Pompano Beach and Fort Lauderdale, Florida. When you drive the new 2019 Nissan Rogue Sport, enjoy the exceptional performance that the team at Nissan have included in this upgraded crossover. The Rogue Sport comes with an engine that offers 141 horsepower and 147 lb-ft of torque. Plus, with the Nissan Rogue Sport, take advantage of the Intelligent All-Wheel Drive feature that can adapt to the changing road conditions - such as mud, sand or rain. And explicitly built with the city in mind, the new Roque Sport comes with an Intelligent Engine Brake, Intelligent Trace Control and an Active Ride Control. Organize and manage your space with the new Nissan Rogue Sport. Now with multiple configurations, the Rogue Sport’s cargo area lets you fit and organize your cargo area to meet with your needs. Also available is the new Divide-N-Hide storage system that allows you to fold the back seats flat for more substantial items or you can flip the back panel up to stash valuable items. Explore these storage features and more by scheduling a test drive with our team at Performance Nissan. If you are shopping for a new SUV/Crossover, begin your search with us at Performance Nissan. 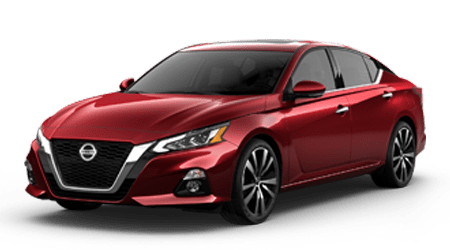 Our friendly team is ready to help all drivers from around the greater Boca Raton, Florida area find the perfect Nissan sedan, truck or crossover that’s perfect for your lifestyle. And when you visit our Nissan Dealership team, make sure you check out our New Car Specials. You can also talk to our finance team about Leasing the new Rogue Sport. If you have any questions, visit with our team today!